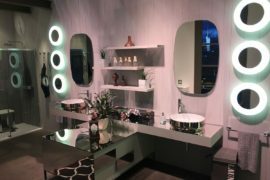 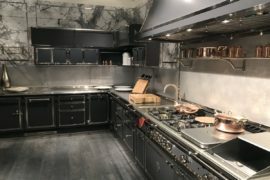 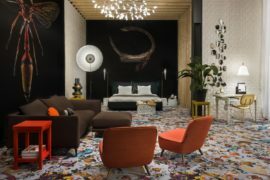 Dutch design venture Moooi’s new collection presentation at the latest Salone del Mobile in Milan was a spectacular and theatrical design opus. 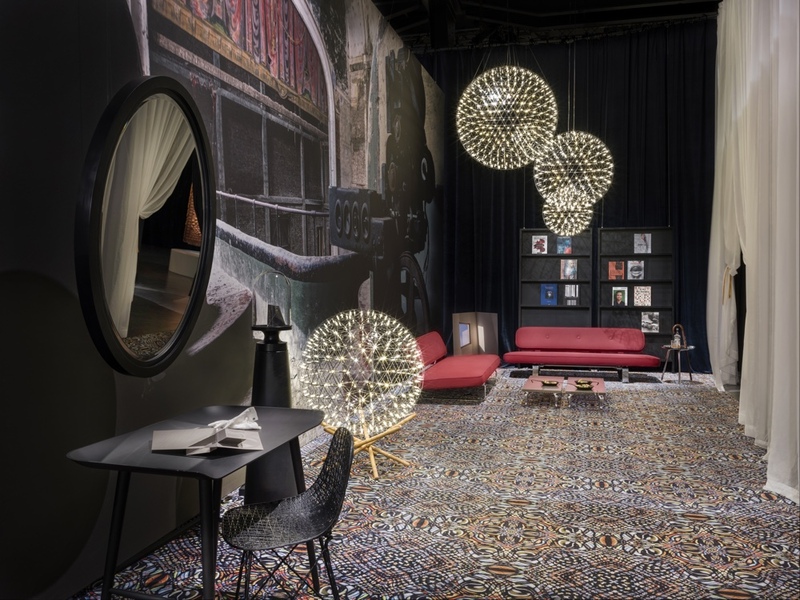 In typical Moooi fashion, the brand created a surreal world of fantasy and illusion, with a stirring and captivating display of art, design and craft. 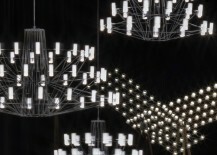 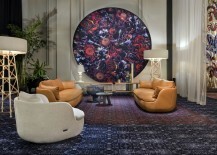 Read more about “The Beautiful World of Moooi” here. 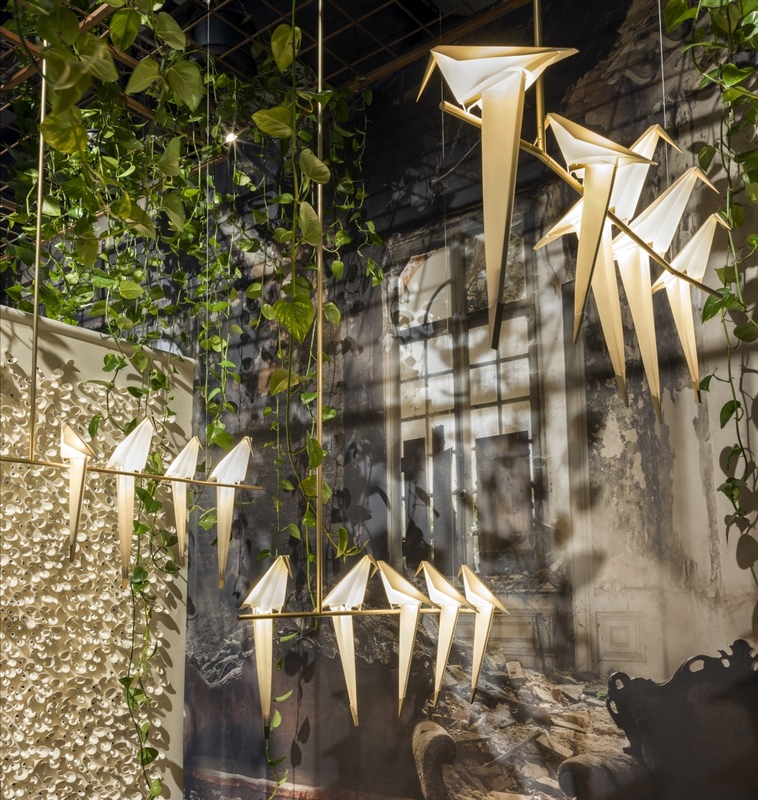 The paradoxical theme “Rebellious Harmony” typified the elements of Moooi’s 2016 Milan setting. 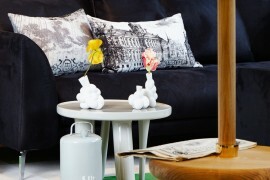 Indeed “Rebellious Harmony” perfectly encapsulates the values of the fifteen-year-old Dutch brand. 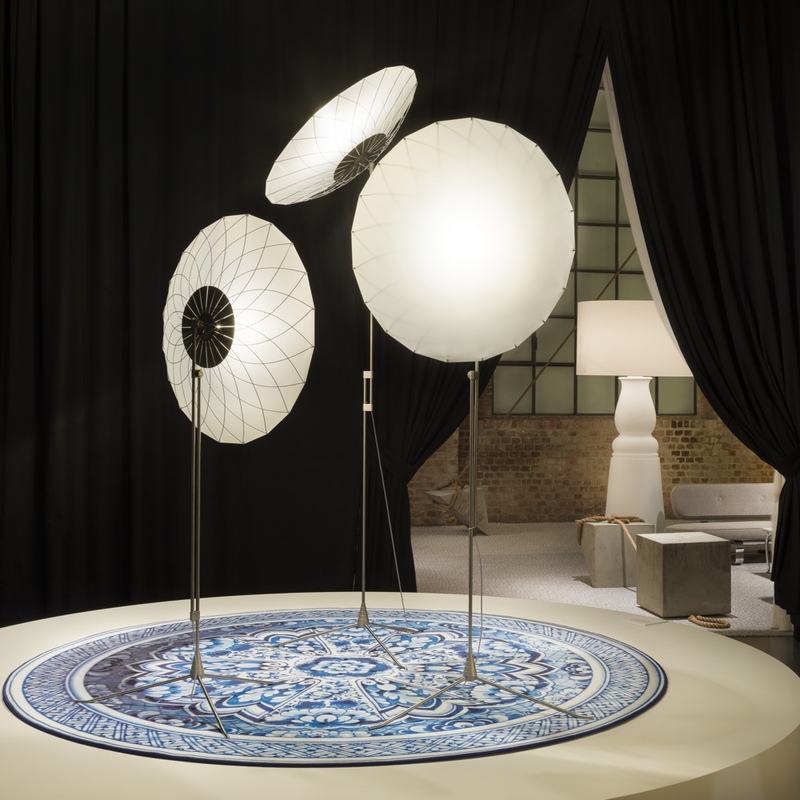 As an expression of Moooi’s core beliefs, its CEO Robin Bevers explained: “At Moooi, we strive to embrace the polarity between creativity and business, between chaos and order.” At the centre of its Milan spectacular, Moooi showcased a new collection of twenty two pieces, each placed on pedestals in varied configurations and set within the inky darkness of an enticing ballroom. 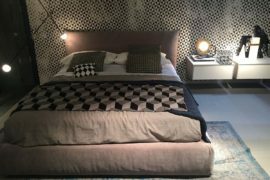 Moooi’s new collection at Salone del Mobile 2016. 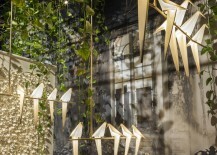 Spreading out from this core, a number of passageways led to fourteen enchanting home settings, all of which gave shape to a creative world of rebellion and harmony. 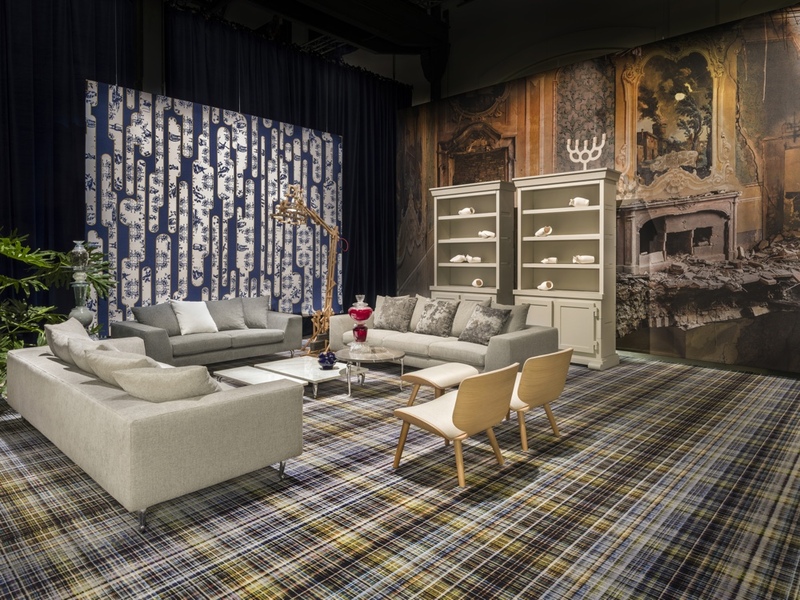 New Signature Carpets and broadloom wall-to-wall creations added depth and character to the surroundings, their vibrant patterns and images the result of high-resolution printing technology. 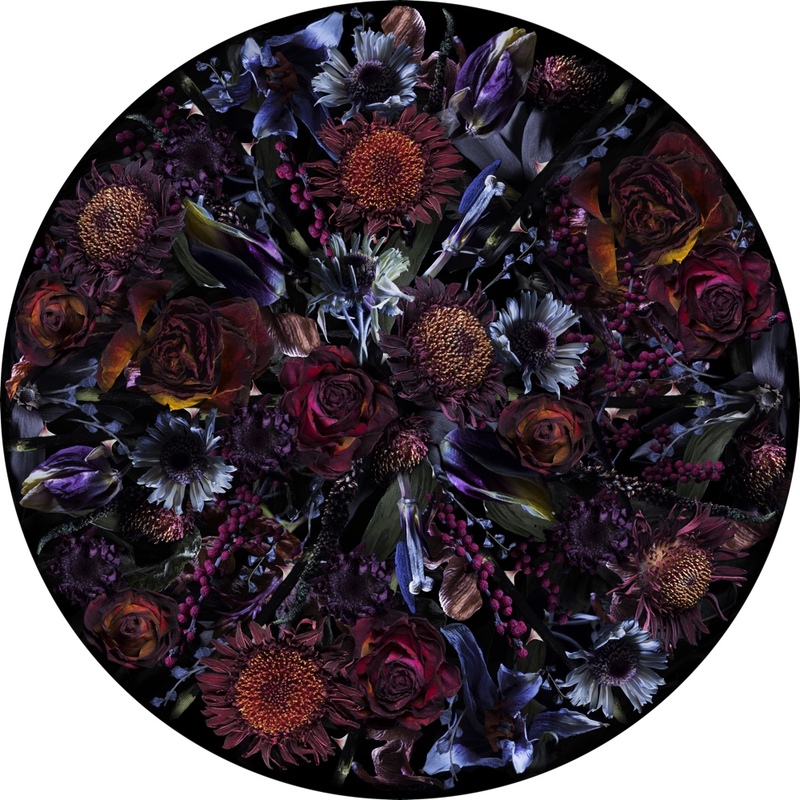 Moooi partnered with British art photographer Rebecca Bathory, whose immense prints of both “lost and illicit worlds” added a sense of poetic melancholy and drama to the differing interior scenes. 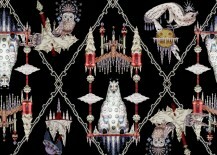 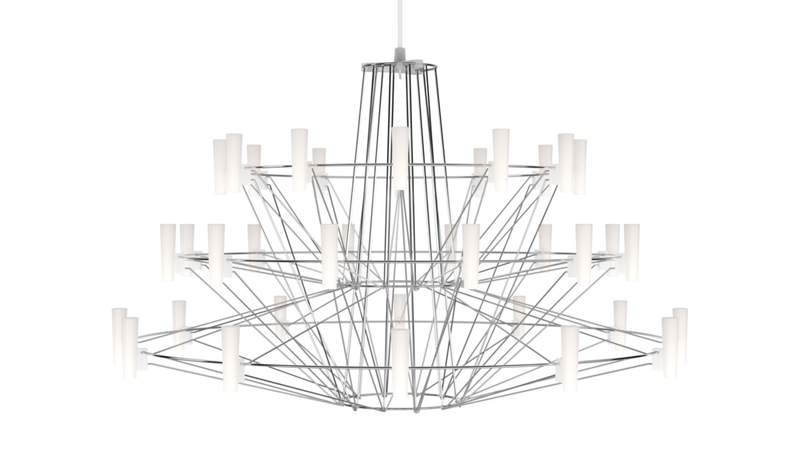 Bathory’s works are romantic and wistful, their industrial and decaying edge complementing Moooi’s vivacious designs. 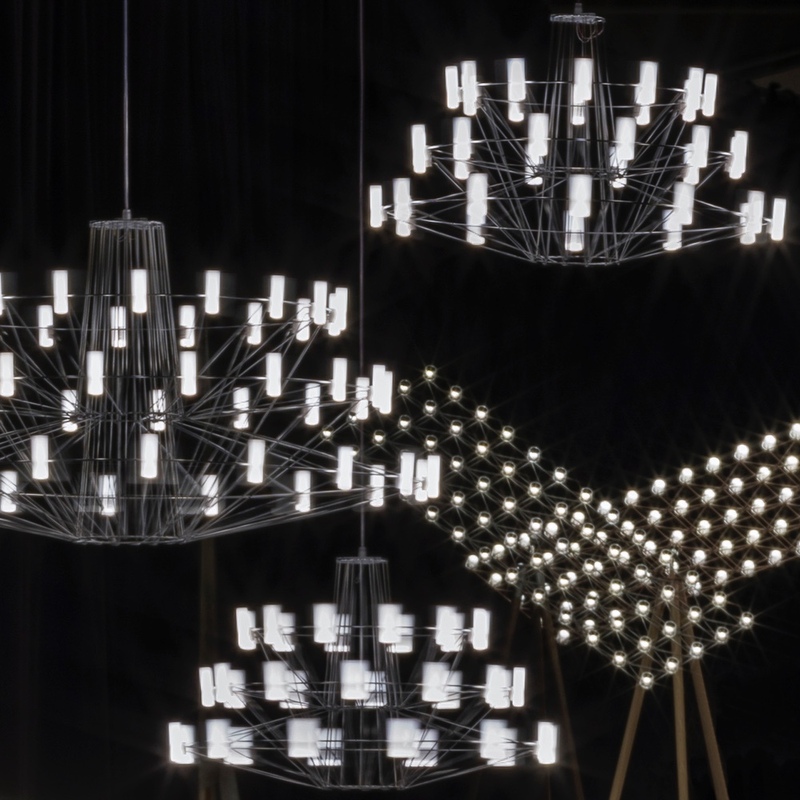 In the creation of its new furniture, lighting and carpet designs, Moooi worked with an eclectic assemblage of seventeen emerging and established designers, including Arihiro Miyake, Edward van Vliet, Klaus Haapaniemi, Lorenza Bozzoli, Marcel Wanders, Noortje van Eekelen, Paul Cocksedge, Rick Tegelaar, Umut Yamac and Valerio Sommella. 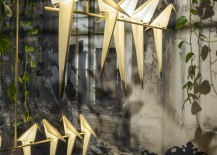 Perch Lights by Umut Yamac with a print by Rebecca Bathory. 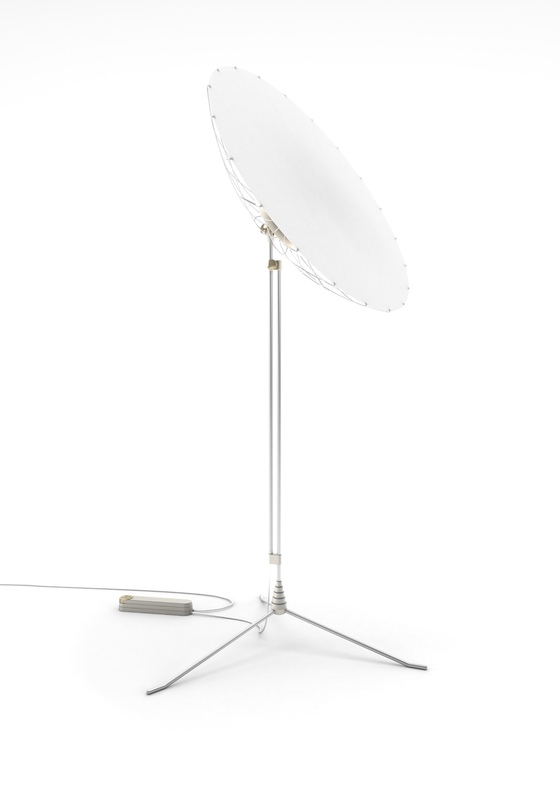 Marcel Wanders designed the dazzling “Spaceframe Floor” light, a rotating and fluid “satellite of light” that balances on a wood tripod. 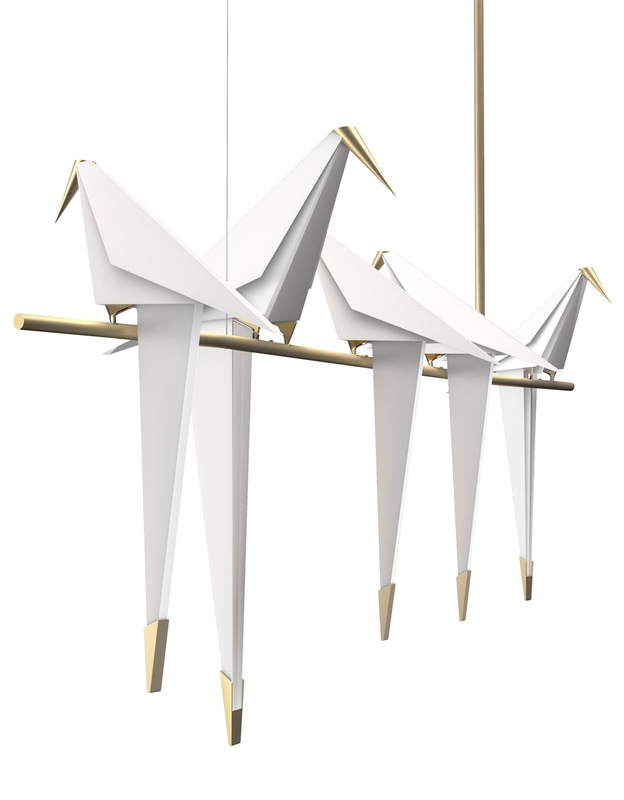 The “Coppélia Small” by Arihiro Miyake is composed of an intricate yet graceful, almost whirling and dance-like, form. 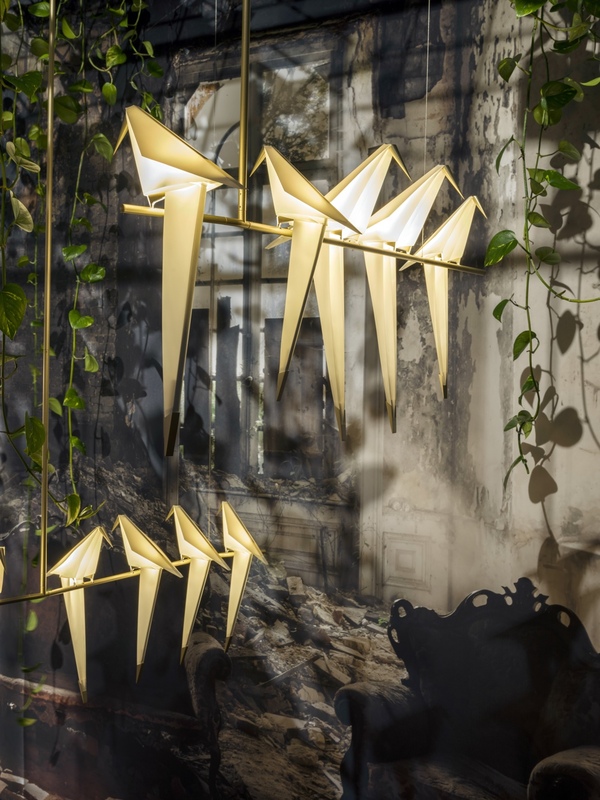 Embracing the joys of a springtime morn, Umut Yamac designed the “Perch Lights” as a celebration of the beauty and poise with which a bird perches upon a branch. 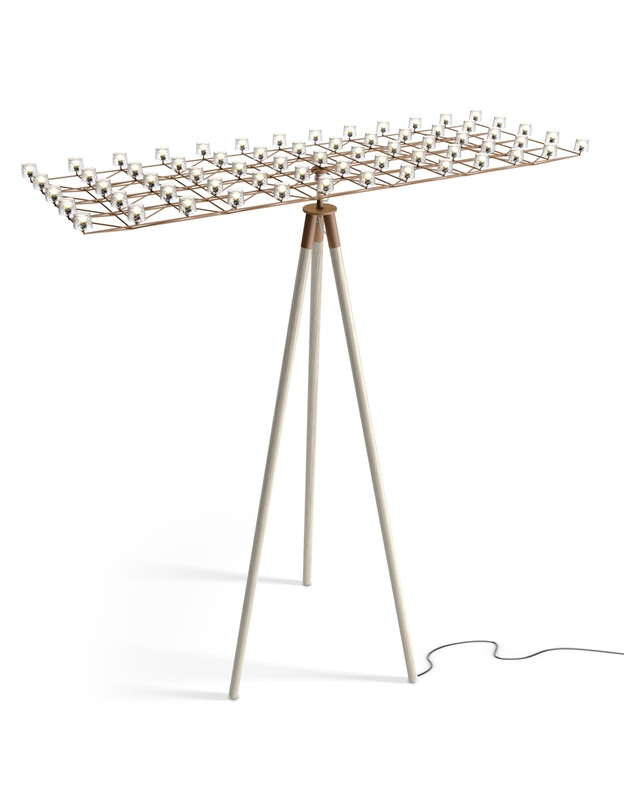 The “Filigree Floor” lamp by Rick Tegelaar projects light onto a wall or a ceiling, its filigree wire structure generating playful shadows. 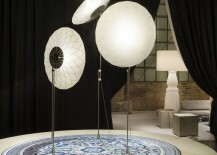 Filigree Floor lamps with the “Delft Blue Plate” carpet by Marcel Wanders. 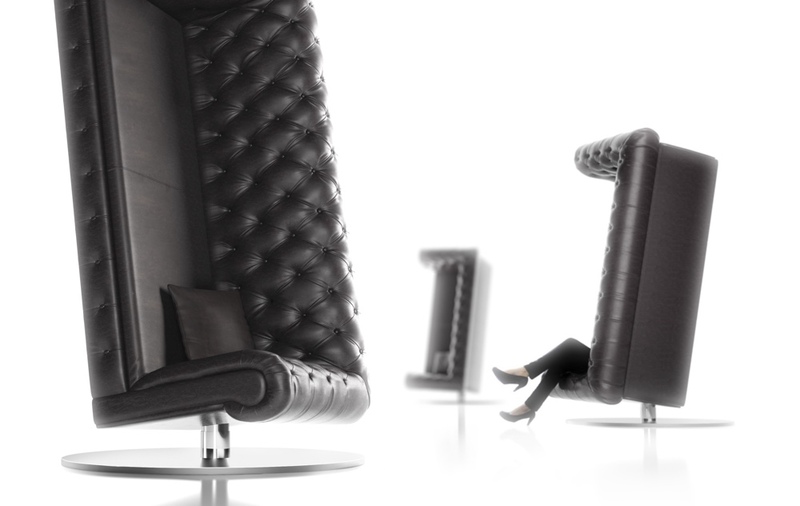 The “Amami” sofa by Lorenza Bozzoli is plush and plump. 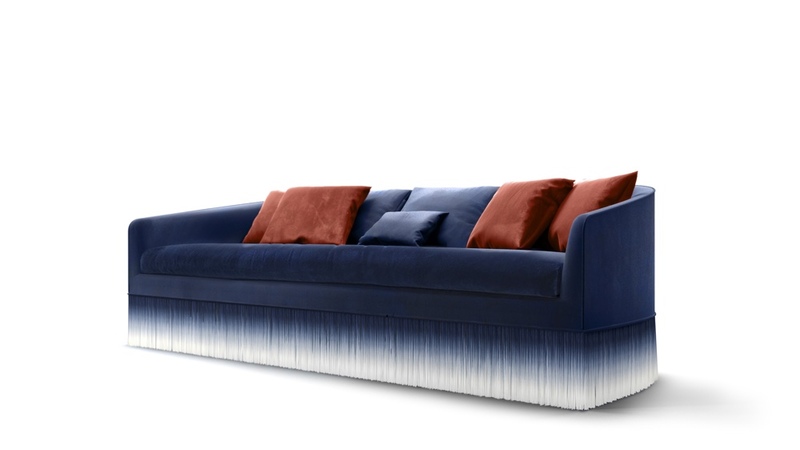 With a delicate and dashing fringe, the sofa has a somewhat ebullient expression. 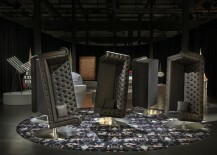 One might dance the Charleston with this lively sofa of the same name by Marcel Wanders. 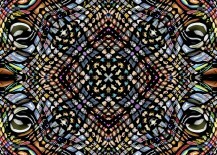 In true Wanders fashion, the “Charleston” is curious and deliciously disconcerting. 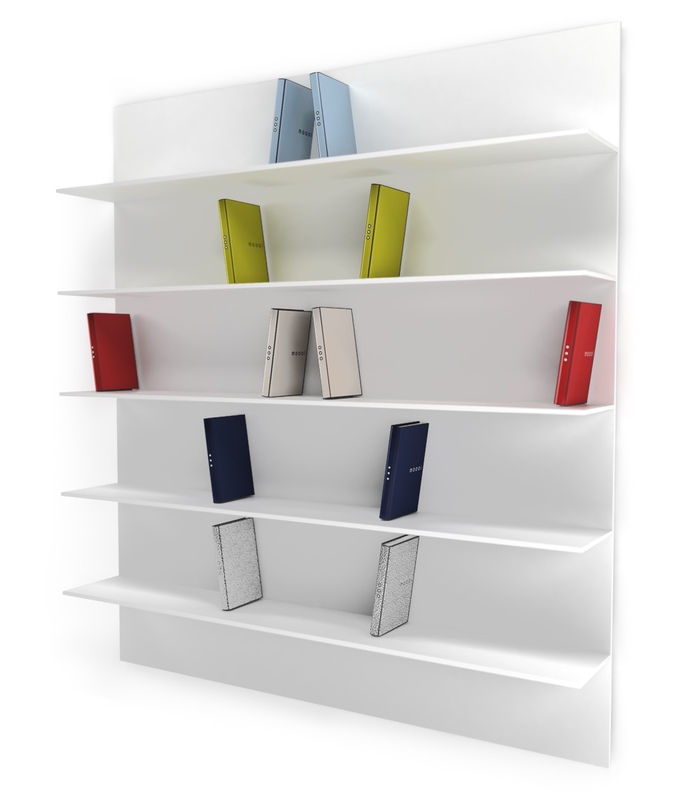 On the “Direttore” bookshelf designed by Paul Cocksedge, books lean in a Michael Jackson “Smooth Criminal” style, appearing to defy the Laws Of Physics. 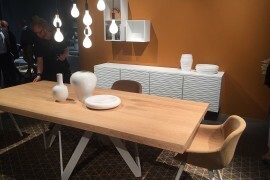 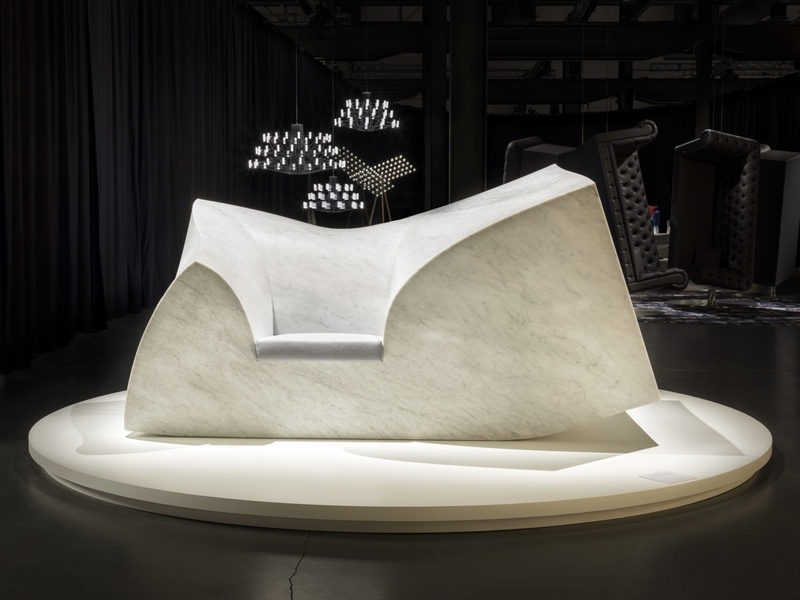 The Direttore is inspired by the Memphis Movement and Ettore Sottsass. 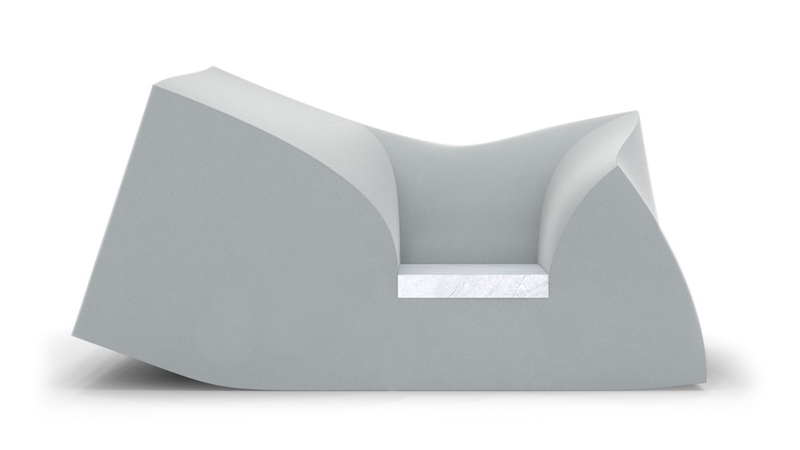 Paul Cocksedge’s “Compression” sofa has two counterparts: one crafted in lavish Carrara marble, the other in modest foam. 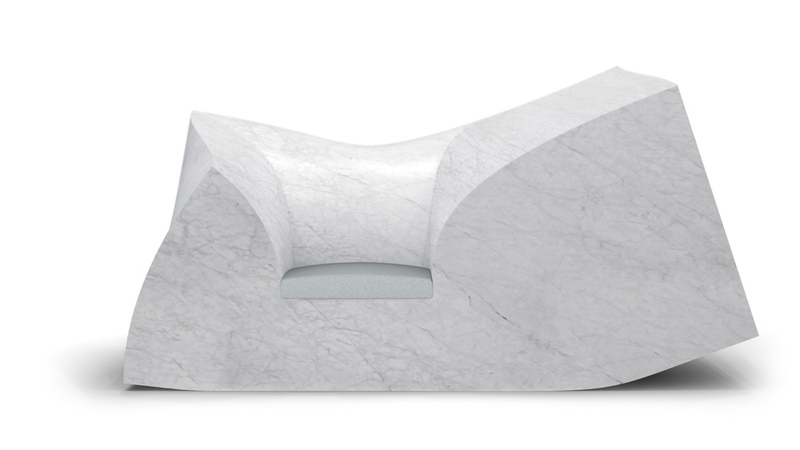 The Compression sofa in Carrara marble weighs in at six tons. 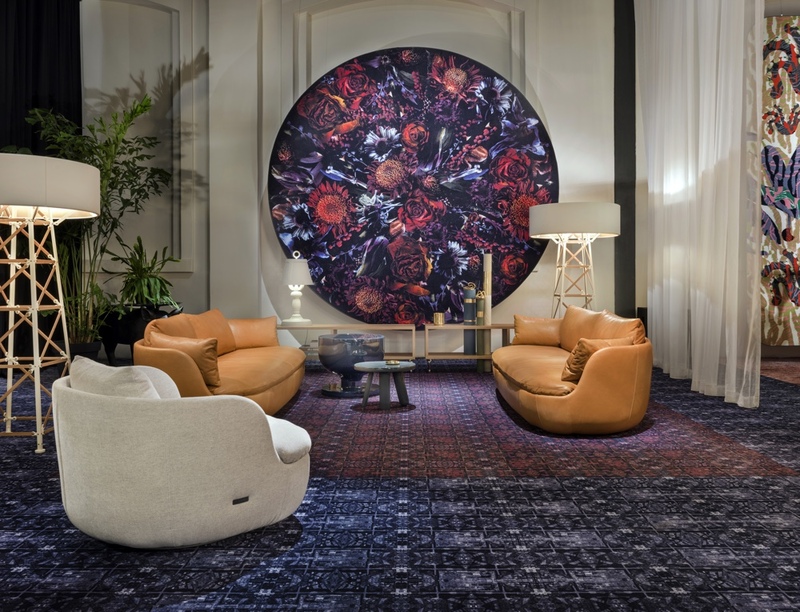 “Fool Paradise” by Marcel Wanders depicts decaying blooms with a darkly joyless air. 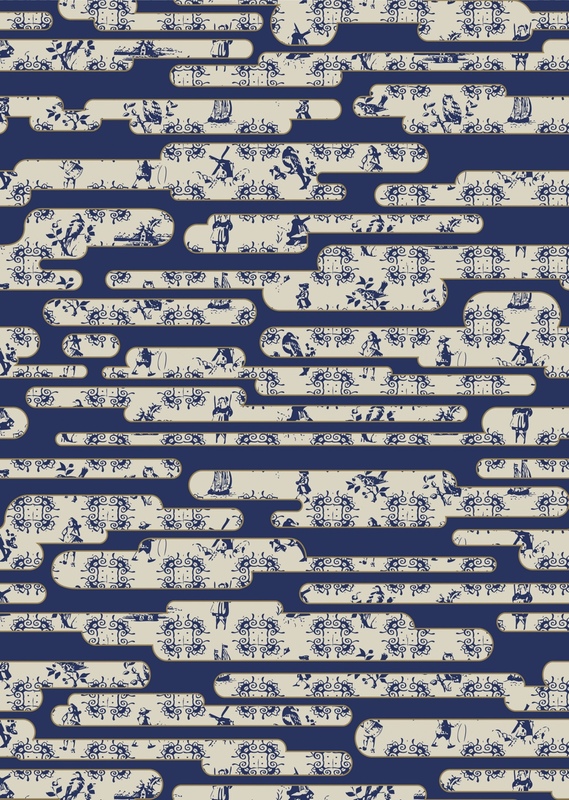 Noortje van Eekelen explores our modern-day penchant for emoticons in “Dazzling Dialogues”. 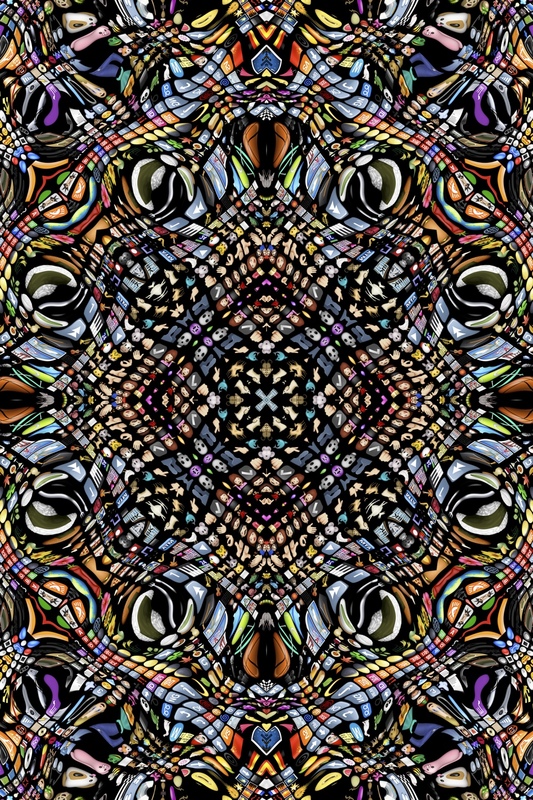 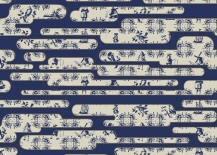 “Dutch Sky” by Edward van Vliet is an amalgamation of east, west and Dutch delftware imagery. 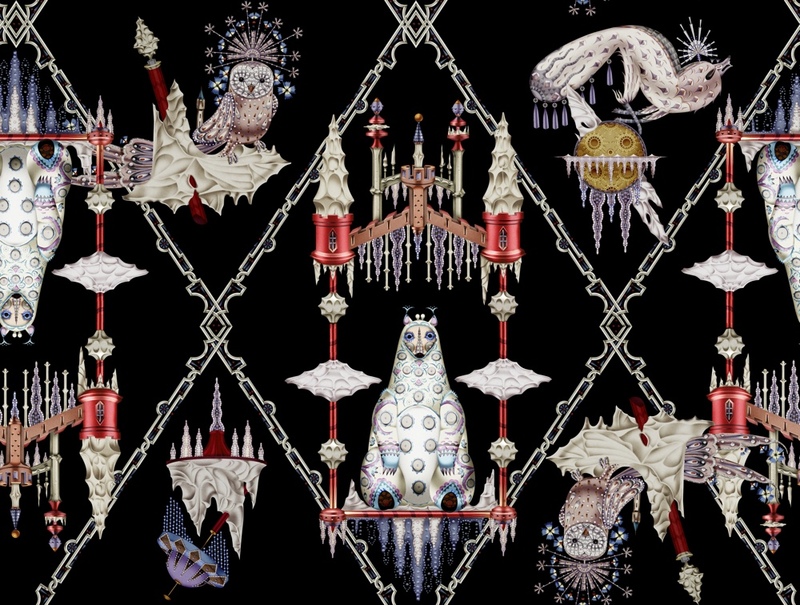 Finnish artist and designer Klaus Haapaniemi’s “Polar Byzantine” design presents an enthralling “frosty fairy-tale fantasy”, inspired by an original story from the author Rosa Liksom. 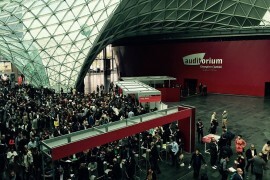 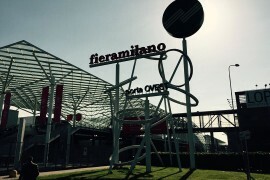 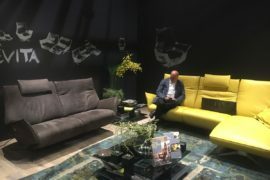 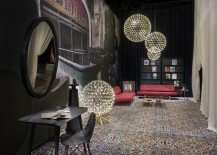 Take a virtual tour of Moooi’s Salone del Mobile presentation here. 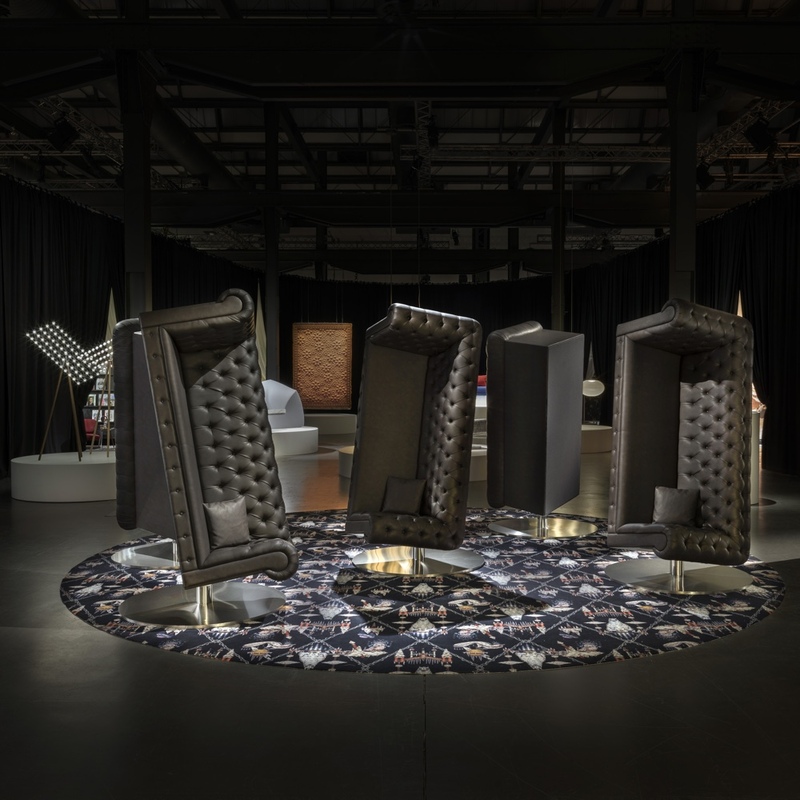 All images © 2016 Moooi B.V.